On Tuesday evening representatives from the B.N.T.U., the P.S.U. and the A.P.S.S.M. travelled to Orange Walk where they met with teachers and public officers from that district branch to present G.O.B.’s salary adjustment proposal. News Five has confirmed that the session was intense and the audience was vocal. So vocal, in fact, that the President of the Orange Walk branch of the B.N.T.U. had to intervene several times to tone down the meeting. Today our team travelled north and spoke to President Otilio Munoz, who stated the concerns of the branch and its position. 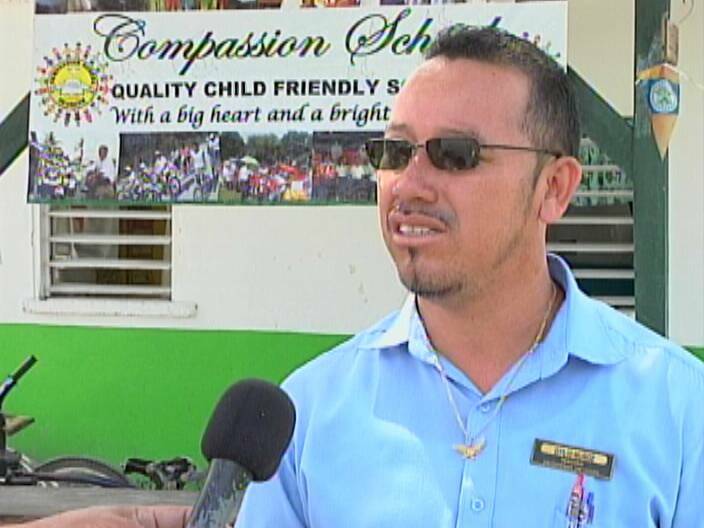 Of note is that four hundred teachers are registered in the Orange Walk branch and about one hundred attended, along with about twenty public officers. Munoz blames the attendance on the time and logistics of the meeting. News Five tried to get a comment from B.N.T.U. National President Luke Palacio, but he reserved comment. The next meeting with membership is scheduled for tonight in Corozal. The President Otilio Munoz should not even get a cent more in his pay , I have my little cousin whom he teaches and he says President Otilio Munoz during class is texting break comes and he does not sends the students out . Until there break is over he stops texting and says lets continue with classes. He tell the students come for morning classes and when the students show up he does not because he had to go and do photocopy . There are some teacher who really love there job and make sure they teach there students so when they go to high school they don’t become dropouts and with them I am ok but the ones who give a f***k about their students they are just in for the salary should not even get one more cent and President Otilio Munoz is one of them. The President Otilio Munoz should not even get a cent more in his pay , I have my little cousin whom he teaches and he says President Otilio Munoz during class is texting break comes and he does not sends the students out . Until there break is over he stops texting and says lets continue with classes. He tell the students come for morning classes and when the students show up he does not because he had to go and do photocopy . There are some teacher who really love there job and make sure they teach there students so when they go to high school they don’t become dropouts and with them I am ok but the ones who give a **** about their students they are just in for the salary should not even get one more cent and President Otilio Munoz is one of them. Munoz just di be nice. I sure the teachers feel disgusted and will not waste their time to listen to nonsense. Da fool di talk no fool di listen.